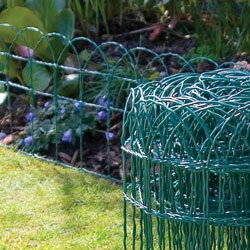 Used to edge borders, lawn borders and landscape borders in your garden. This durable garden lawn border edging can be used to landscape borders, lawn edging, garden borders, flower borders and pathways. Protects your lawn from damage and erosion. These lawn edgings are rot proof and maintenance free. 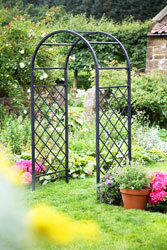 Forms a tough, hardwearing barrier between lawn and border. Easy to fit, Simply fit and forget. Ideally arrange in a small square or triangle to add height and perspective. 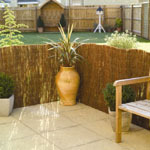 This bamboo garden lawn border edging can be used to landscape borders, lawn edging, garden borders, flower borders and pathways. 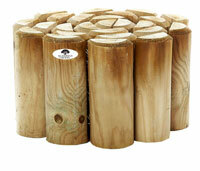 Made from the highest quality FSC certified timber. This garden fence is green PVC coated. 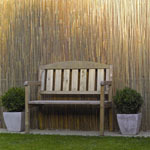 This pvc garden fencing is attractive and functional. 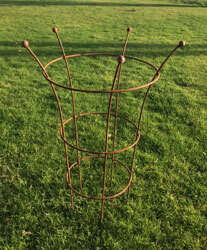 Easy to erect - NO NEED FOR STRAINING WIRES. 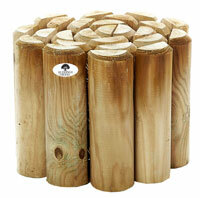 Ideal for edging borders and paths. 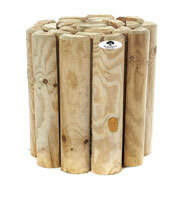 Large range of wooden border edging ideal for garden borders. 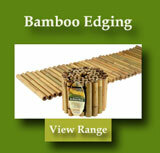 Made from bamboo ideal for edging lawn borders. Wooden border fence , pressure treated.